Dr. Bob is a great dentist, he has been taking care of us for the last 14 years. He is lucky to have the hygienist Jordan in his team. She is amazing. I highly recommend them. My family has been going to Dr. Bob for over 20 years. Dr. Bob is an excellent dentist, honest and fun! I recommend Dr. Bob and his staff to everyone. I have been going to Dr. Bob for years and never and I mean never had a bad experience. Dr. Bob and Jordan are my favorite two ever. I travel to Aurora from Sandwich because Dr. Bob Dokhanchi is an excellent dentist. He takes his time and explains all options to you so that you can make an informed decision. Very professional office and entire staffing. Would recommend this practice to anyone wanting a caring, gentle, knowledgeable Dentist!!! My family and I have been patients of Dr. Bob for five years. I can honestly say I’ve never had a better dentist. He is proactive and truly wants the best for his patients. He is honest and funny and manages pediatric patients extremely well. He takes his time and never makes you feel rushed; he doesn’t mind explaining things. And he honestly tells you all your options. His office staff and assistants are all excellent. His hygienist, Jordan, is excellent. I can especially recommend this practice for people who are nervous about dentists, which I used to be, before going here. Now I must say I am very picky when it comes to picking a dentist but Dr. Bob aka (Dr. Dokhanchi) has been a great guy to know and be a patient of. You can’t do anything but appreciate a place that can make you feel comfortable when you are already anxious about getting it over with. Staff is great and never had to do anything over again. First time and done. All in all a great place and well worth my 40-minute drive each time just to go see him. Worth the trip. I have had a fear of dentists since I was a kid. I have been a patient of Dr. Bob for over 10 years. Dr. Bob is very understanding and trustworthy. He takes the time to explain each procedure. He is respectful to his patients and his staff. His staff is exceptional and very professional. Jordan, his dental hygienist is wonderful. She is extremely friendly and comforting and is also very professional. I definitely recommend Fox Valley Dental for its wonderful staff and great dental care. I travel all the way from the north side of the city to Aurora because it is worth it to me to know I can trust my dentist. I have been going to Dr. Bob for more than 10 years. I always had lots of dental problems, and he has helped me tremendously. He does good work and obviously cares a lot about his patients. I strongly recommend him to anyone who wants to go to a dentist they can trust. I have been a patient of Dr. Dokhanchi’s for the past 10 years and receive wonderful care. I see Jordan twice a year for cleanings, and she is just so terrific and experienced. Dr. Bob is an expert and takes time to review details with me in terms that I understand. He always lets me know if something is a fad or just too good to be true. I have referred several friends in the western burbs to him. He is treating a friend of mine who dealt with a fear of dentists for years. I really appreciate the care Dr. Bob has provided to my friend and the time he took with him. I highly recommend Fox Valley Dental for great dental care! 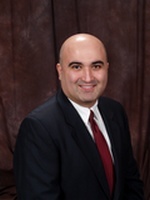 Dr. Dokhanchi has been my dentist since I moved to the area approximately three years ago. He wasn’t recommended to me. I just stumbled upon his office in Aurora one day. Since then, he has done some fillings and a crown for me. I think that he’s a good honest dentist, maybe a bit of a perfectionist. A few years back he was doing a crown for me and obsessed about getting the imprint exactly right so that the final crown would fit perfectly (which it does). One common issue with dentists is whether you really need what they are recommending. I have always been comfortable with Dr. Dokhanchi’s recommendations in this respect. He takes time to explain his diagnosis and keeps his recommendations to what is necessary.